The Jamaican bobsled team may be headed to another Olympics. The catch: It needs a lot of money, and it needs it fast, Tim Reynolds of ninemsn.com reports. Olympic organisers said on Saturday that Jamaica has qualified for the two-man competition at the Sochi Games, though it remains unclear if the fledgling squad will get a chance to race. Funding is a serious problem and sled driver Winston Watts said on Saturday he’s trying to raise as much as $US80,000 in the next two weeks to cover travel and equipment costs. They are certainly among the world’s most storied bobsled teams, and that has little to do with results. 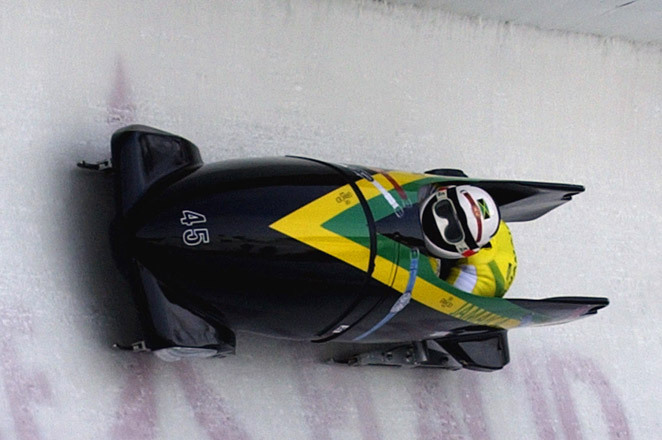 Jamaica first competed in Olympic bobsledding in 1988 at the Calgary Games, a story that inspired the “Cool Runnings” film. For a nation lacking bobsled tradition, or snowy winters, Jamaica has often fared quite well on the international circuits. It’s been 12 years since Jamaica has had a sled in the Olympics, with Watts finishing 28th at the Salt Lake City Games with Lascelles Brown – now a key part of Canada’s national team. Brown won a medal at the 2010 Vancouver Games, one where the Jamaicans were hoping to compete but were again thwarted by funding issues. Still, the 46-year-old Watts – who called himself “retired” from sliding for nearly a decade – has held on to hope of sliding again on the sport’s biggest stage. He started the season thinking he could get a four-man sled ready for Sochi, before quickly realising that was too expensive. His focus then shifted to the two-man sled and by racing in lower-tier events at tracks in North America in recent months, Watts and brakeman Marvin Dixon piled up enough points to get into the Olympic mix. Sochi officials tweeted word on Saturday that the Jamaicans were in, but the International Bobsleigh & Skeleton Federation – the sport’s governing body – is not expected to confirm before Sunday at the earliest how many nations qualified for the Olympic fields.